We don't get to see any skyscrapers here in Tubac, but we do get out of Dodge once in a while for a city-fix. Our Column Fountain designs grow out of those trips and the memories of city skylines. 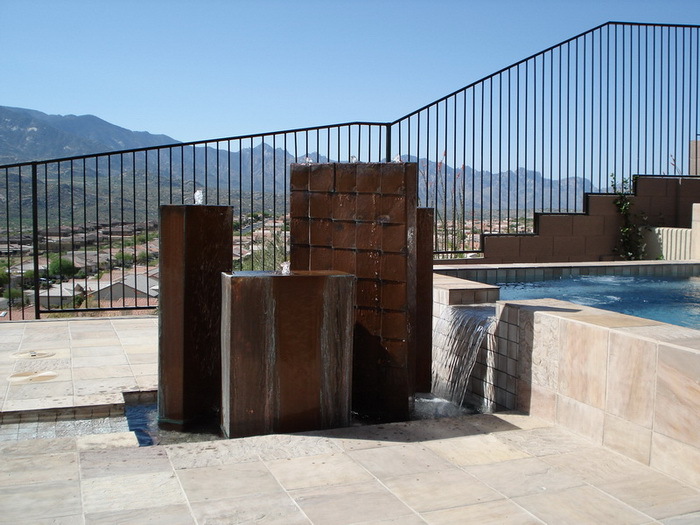 They are sleek and sophisticated, with the water sliding gracefully down each column. All are one-of-a-kind. Some make a little noise, some virtually no noise, none make a lot of noise or splash. Because of that, their bases can be small, making most of them appropriate for indoor or outdoor applications. 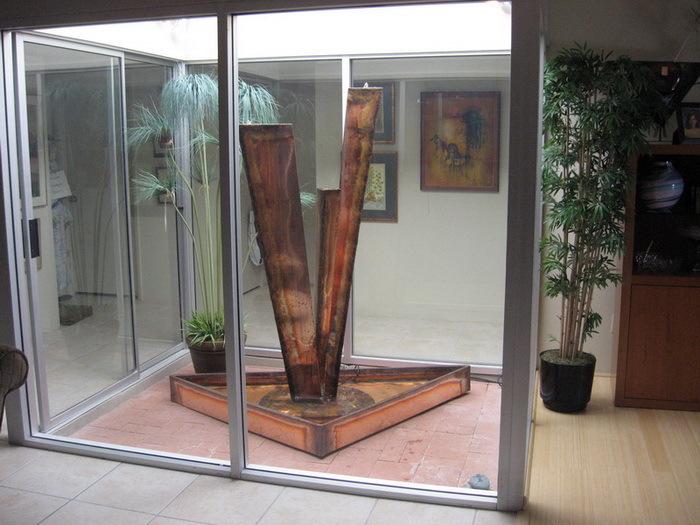 In the past, my column fountains have ranged in height from 4' to 9' and in price from $4000-$9000. Currently, I do not have any in stock, but would be glad to discuss one with you. Please email or call if interested.